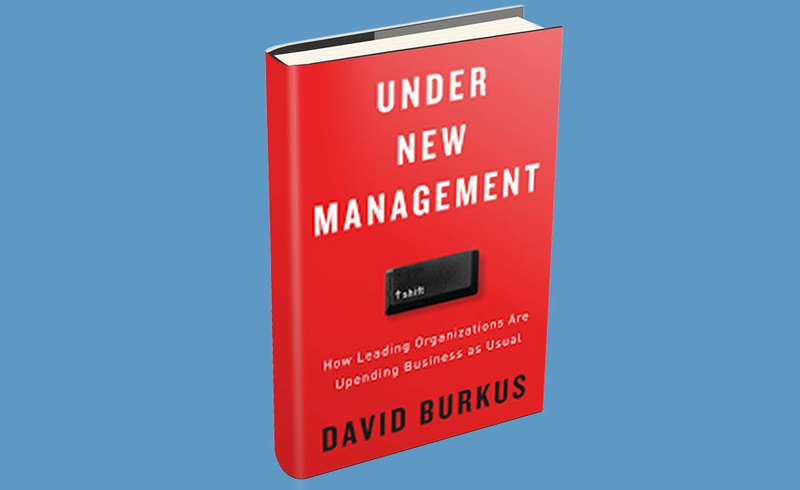 Influential business school professor Dr. David Burkus’ new book Under New Management: How Leading Organizations Are Upending Business as Usual is an insight-packed exploration on business management practices– what works, what doesn’t and what companies today need to do to increase productivity and morale. The Berlin School’s David Slocum asks the author 5 Questions about this provocative new work. Amidst so much varied attention to changes in business and leadership and to the future of work, what were your specific goals in writing Under New Management? There are a lot of ideas about how to manage a company and work with people that we’ve dragged with us from the factory to the office. Management, as a tool, was invented during the Industrial Revolution and many of its fundamental assumptions (as well as a lot of practices) were never questioned when we made the transition to knowledge work. But many companies have begun to question these assumptions and develop new practices. Unbeknownst to most of the companies’ leaders, their emerging actions align perfectly with what decades of psychological research into organizational behavior reveal. How does this book build on and extend the insights of your excellent previous work, The Myths of Creativity? To some extent. The Myths of Creativity was about challenging our assumptions around the creative process, individually and in teams. And Under New Management serves to challenge our assumptions about around the organizational process. In both cases, I attempt to use rigorous evidence to make the case that we need to rethink how we working…because it’s not succeeding as well as it could. Instead of our simplistic assumptions, we need practical but evidence-based solutions to the future of work. The new book describes many possible, proven practices for transforming businesses. What is your advice to leaders about how to identify and implement the best specific action(s) to take to put their own companies under successful new management? It’s actually less about what actions to take or practices to implement and more about what to eliminate. In almost every case in the book, the practice or policy implemented actually stemmed from leaders realizing that the current way of managing employees was holding them back. So if you’re a leader, it’s less about getting “buy in” for your new practice idea and more about communicating with your people, learning what has been holding them back, and then taking actions to set them free. What do you say generally to those who are resistant to the kinds of changes in management described in the book – say, because they believe them to be overly ambitious or risky or somehow inappropriate for their own organizations? The future is already here…it’s just not evenly distributed. My goal isn’t to convince you to change. My goal is to convince you that these changes are already happening. 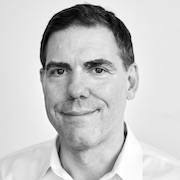 The companies that are drawing top talent are implementing these ideas (indeed I never call them “my” ideas because they’re not – they belong to the companies who invented them and the researchers who have proven them). So you can decide to make the change or not, but top talent are already deciding to embrace the changes and are looking to make their moves accordingly. Beyond your books – in podcasts, writing for a wide range of publications, social media, talks and more – you have, as your website notes, ‘made it your purpose to facilitate the transfer of good ideas.’ Could you say more about the importance you attach to providing valuable resources to those committed to better leadership, innovation and strategy? I believe there is a wealth of valuable research and evidence that should be guiding leaders, but much of the easy to read, easier to understand advice to leaders is taken merely from the experience of one or two people. While individual experience can be a great teacher, research gathers the collected experiences of hundreds or thousands and puts that research through the scientific method. Management is at the point where medicine was a long time ago…we’re still applying leeches or prescribing fresh air to serious infections. The scientific method that led to evidence-based medicine was revolutionary, and evidence-based leadership will be just as revolutionary. So I view my goal as helping facilitate that transfer. Like the original evangelists for evidence-based medicine, I’m trying to evangelize the evidence that leaders need to lead the revolution.